A medieval origin house fully barroque. 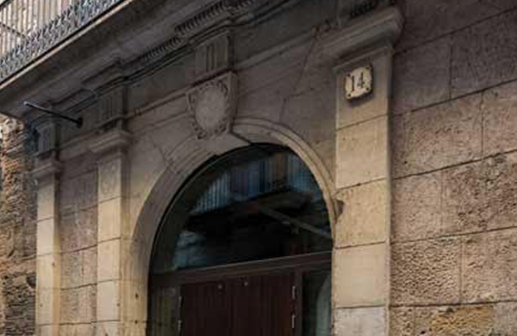 Carrer Montcada is a street where different museums are located since the decade of the 50’s. All these museums are located in historical buildings, the architecture of which has been intervened and restored throughout history. Up until now, none of the museums has offered to the citizens a historical explanation that allows the understanding of domestic architecture in Barcelona from its medieval origins. 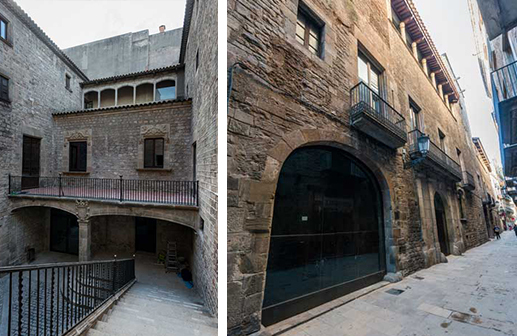 The Museu de les Cultures del Món (World Cultures Museum) is in the Casa Marquès de Llió and Casa Nadal, in the middle part of Montcada street. The Museu de les Cultures del Món and Riosta Barcelona offer a guided visit that highlights the importance of both buildings and its environment, having as a main priority their historical and architectural features. The visit to these buildings will allow the visitor to discover one of the most unknown aspects of the medieval architecture: domestic architecture. We will learn about the houses owned by the bourgeoisie of Barcelona during the middle ages and the baroque, style that prevails in some features of the buildings. Furthermore, we will understand the evolution of these buildings throughout history until the conversion of these spaces into a museum in 2014. Strolling inside the building, we will be able to go over 700 years of history with the objective to highlight the heritage value of both buildings and to explain the recent research and get to know the latest architectural interventions.